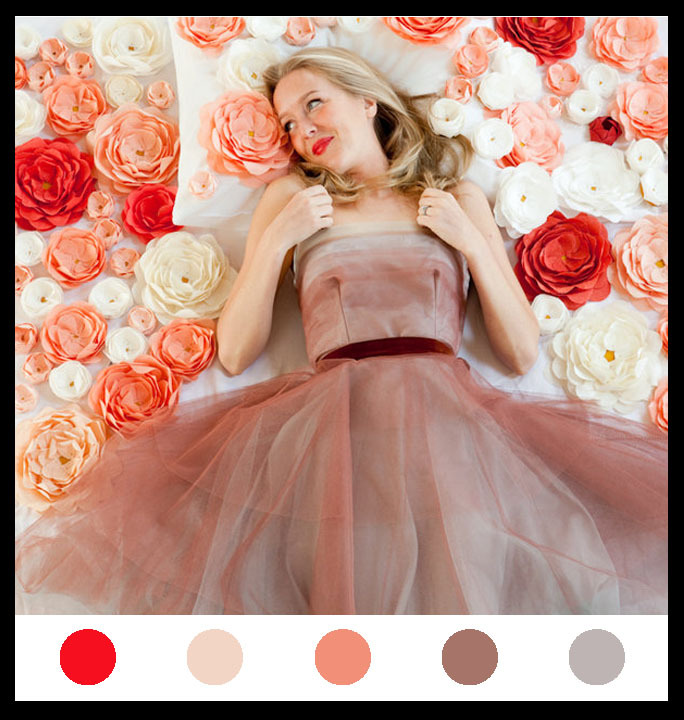 Oh Emersonmade, how I love all your little pretty delights and photo styling....this photo is so gorg and romantic, it's the perfect inspiration for this Valentine's Day color inspiration board. Plus, a big hooray because EmersonMade just got all her new spring collection goodies in. Total eye candy....hop, skip, and run on over to her site and check it out! pretty colors for a pretty day..
Oh, I love the picture! So romantic! adorable blog - new follower!